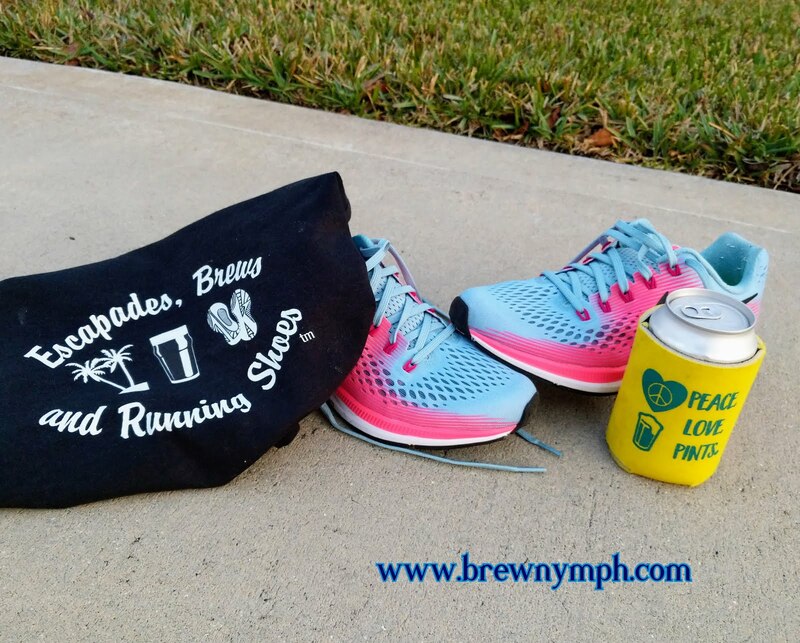 BrewNymph®: Engine 15 Brewing Company: Enjoy the Ride! 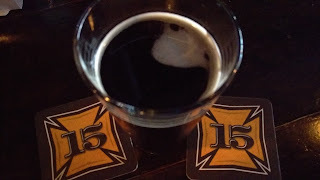 I'm no stranger to the Engine 15 brewpub, its beer and its events: I like the beer, and I like the people who work there and those who hang out there. 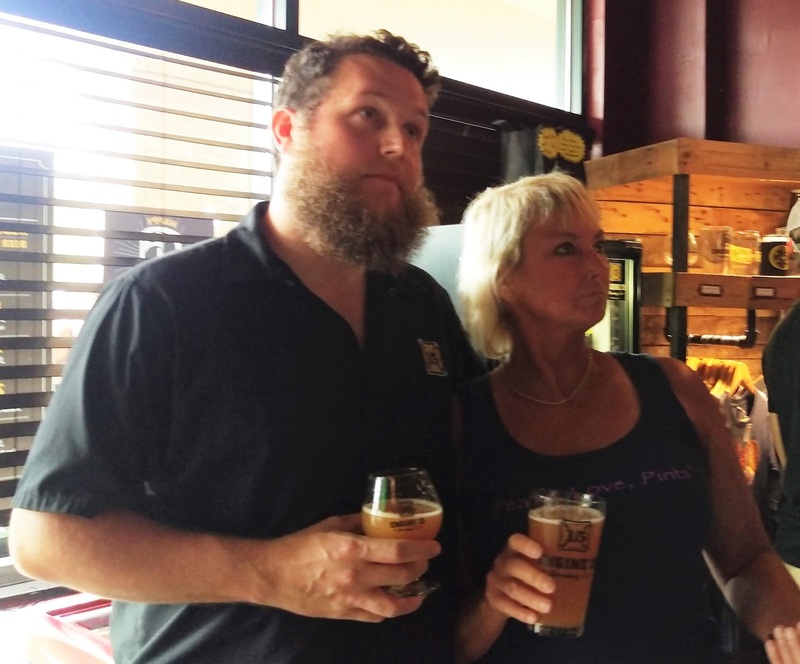 It's the only brewery in Jacksonville to offer a huge 50-tap beer bar. 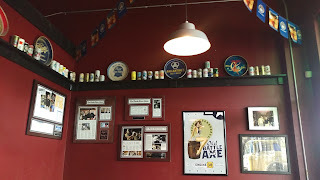 One of the coolest things about this brewery (and there are more than a few) is that on any given day, you'll find around 15 to 20 Engine 15 house beers on tap: from the popular lighter J-Ville Lager to red ales to IPAs to stouts, and various treatments of brewery favorites along the way. 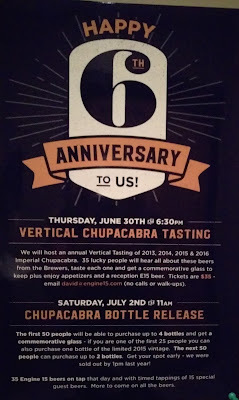 But, let's start with the Sixth Anniversary party! 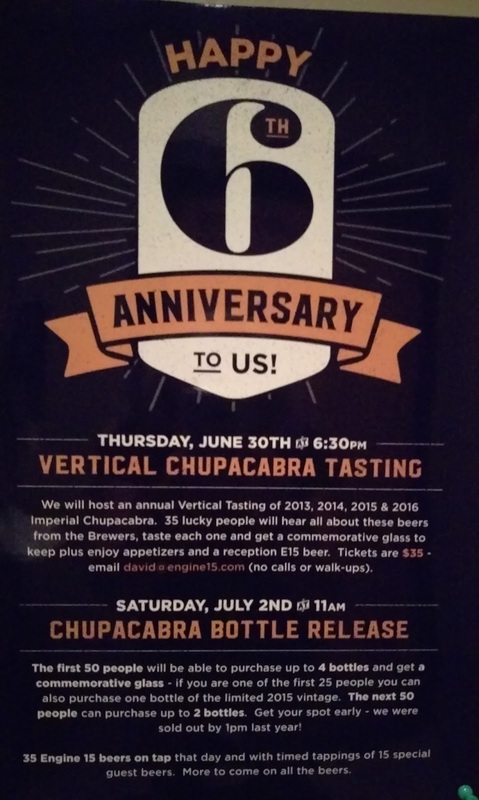 The brewery featured two events for its Anniversary: a four-year Vertical Tasting of its annual limited release bourbon barrel-aged Imperial Chupacabra Russian Imperial Stout on Thursday night, and the Chupacabra Bottle Release and Anniversary Party on Saturday. 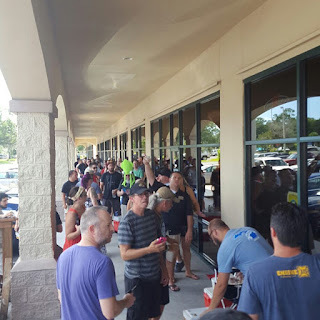 Although the bottle release started at 11am, a number of local beer aficionados who just had to have it began lining up as early as 7:30 am on Saturday, according to co-owner Sean Bielman. And, speaking of the owners, sometimes it's tough to tell that they actually own the place, because they always seem to be working! Especially during busy times and events, Luch and Sean can be seen clearing glasses and tables and bringing those glasses back to the bar for washing and refilling. These are guys who don't mind rolling up those sleeves and getting to work. When I first saw Luch Saturday, he had his hands full (literally) with empty glasses from the large crowd. Large crowds at the Engine 15 brewpub for the Anniversary Bottle Release and Party! In addition to the Engine 15 beers and guest taps, the bar also featured additional timed releases all afternoon of new and limited E15 beers (such as Bloody Battle Axe Blood Orange IPA and Grapefruit Double Drop IPA) and favorites and new releases from other craft breweries, including several popular Funky Buddha Brewery beers. 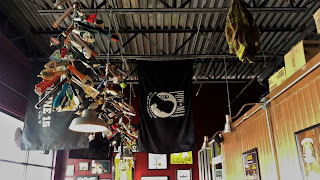 If you haven't been to Engine 15 Brewing in Jax Beach, be sure to mark this on your brewery visit or beertrip itinerary. The pub has the feel of a Bavarian beer garden. Those 50 taps are always pouring cold beer, and you can even get a brat, Cuban sandwich, or other pub food offerings. 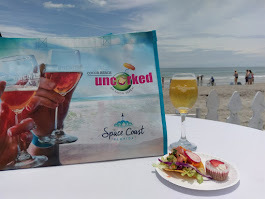 Visit the online menu here. If you like video arcade games, head to the back of the pub and the arcade. Or, just sit at the bar or tables and watch some sports on TV. It seems that there are always more than a few friendly types here sipping on some beer, so you might even find someone to talk beer with! Part of those house beers on tap include the brewery's core brews: J'Ville Lager, Old Battle Axe IPA, (904) Weissguy wheat beer, Route 90 Rye Pale Ale, and the infamous Nut Sack Imperial Brown Ale. 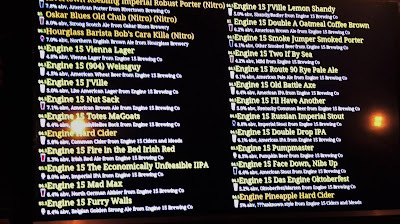 Of course, I've had 'em (more than once) as well as just about most of the E15 beers, and you really can't go wrong. New beers make appearances regularly. The J'ville Lager (5 ABV) is made from all malt (no adjuncts) and is a definite go-to lighter beer that has become a popular choice in area bars and restaurants. The Old Battle Axe IPA (6.4 ABV), the brewery's signature IPA, is an American IPA with citrus and a slight fruity note. 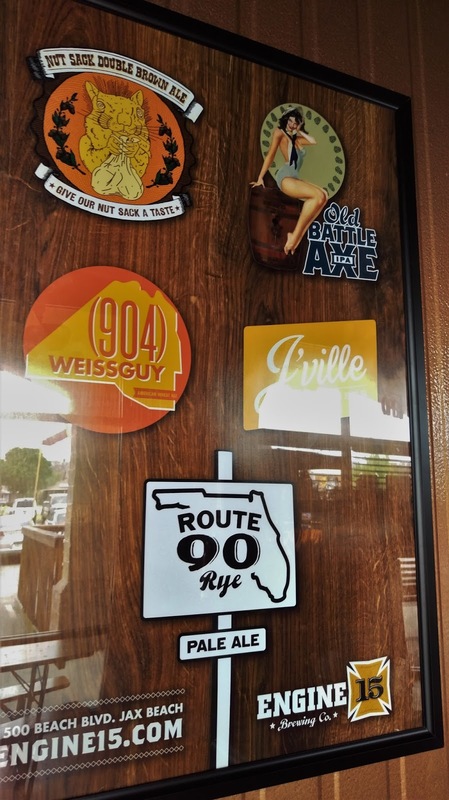 Route 90 Rye Pale Ale (6 ABV), an amber-colored rye beer, has a citrus/floral character along with the spicy/earthy notes from the rye, with a hint of sweetness. The (904) Weissguy (4.4 ABV) is the brewery's take on the hefeweizen, made with American wheat, and a crowd-pleaser especially in the summer. And, how about the Nut Sack Imperial Brown Ale (7.1 ABV)(made with English malt and English ale yeast,with a nutty and caramel flavor). Yeah, it's got that catchy name for one thing, so much so that the U.S. Trademark Office had a touchy time with that trademark application, with an initial refusal to register based on immoral and scandalous grounds, to an appeal where the Trademark Trial and Appeal Board reversed that refusal. 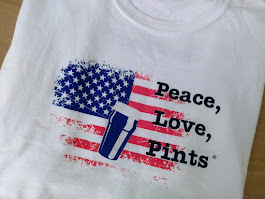 I don't know about you, but I think that beer drinkers area pretty hardy lot and can handle whatever references there may be in the name (but, as one who has practiced trademark law, I find these things pretty interesting). Aside from that, this is one ale that your taste buds will love, and it's surprisingly easy to drink (it doesn't contain nuts, by the way; it's the malt that gives it the nutty flavor). Last year's anniversary Coffee Vanilla variant was my 1000th new check-in! Nut Sack Brown Ale: Give it a taste! 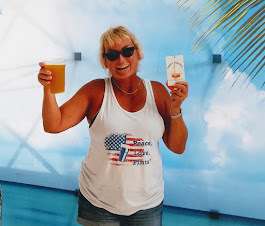 A popular beer that isn't a tap list regular is the Double Drop IPA, a smooth, slightly sweet IPA that drinks like a charm -- I even brought that one back in a growler. And, the house Russian Imperial Stout (8.8 ABV) is a chocolaty taste sensation. 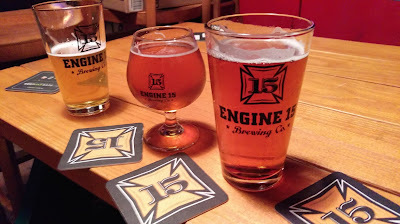 Engine 15 is one of the few breweries that brews a Vienna Lager, a sweet, malty beer that has become one of my favorites here. 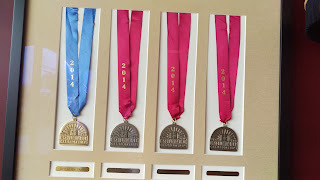 Engine 15 has won a few medals for its beers, too. 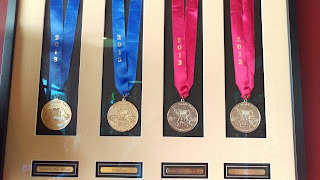 In 2013, it took home Golds at the Best Florida Beer Championships for its Doolittle Saison and (904) Weissguy, along with Silver Medals for its Route 90 Session IPA and Rye Pale Ale. 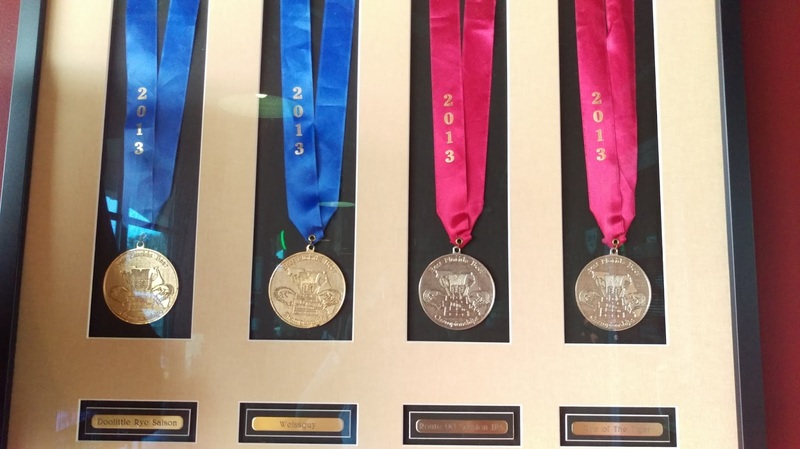 In 2014, it won a Gold Medal for its Rye Pale Ale, along with Silver Medals for Straight 30W Extra Stout, Abbey Normal, and, well, that Nut Sack Imperial Brown Ale. 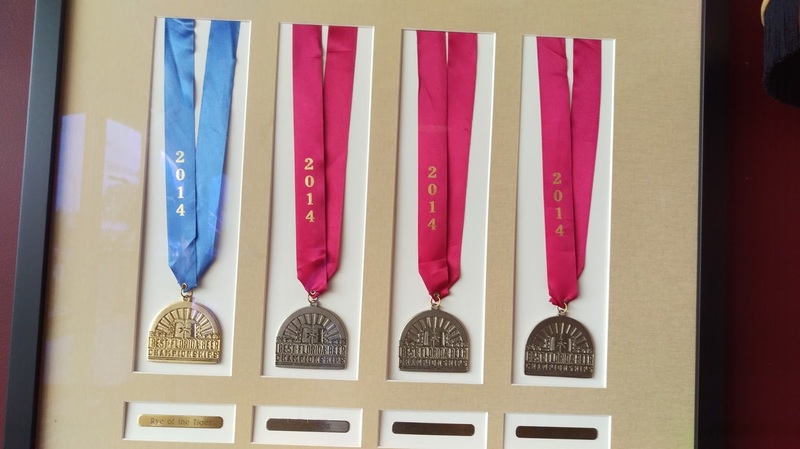 It also earned the Best Brewpub title in 2014, and finished as 2014 Best Beer in Florida Runner-Up for the Rye Pale Ale. The brewpub also was named "Best Girl Friendly Beer Joint" by Jacksonville Magazine in 2015. 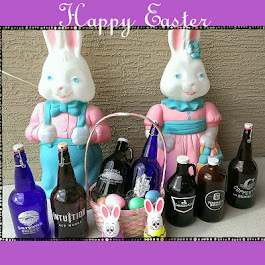 Yeah, these guys know a thing or two about brewing some good beer! 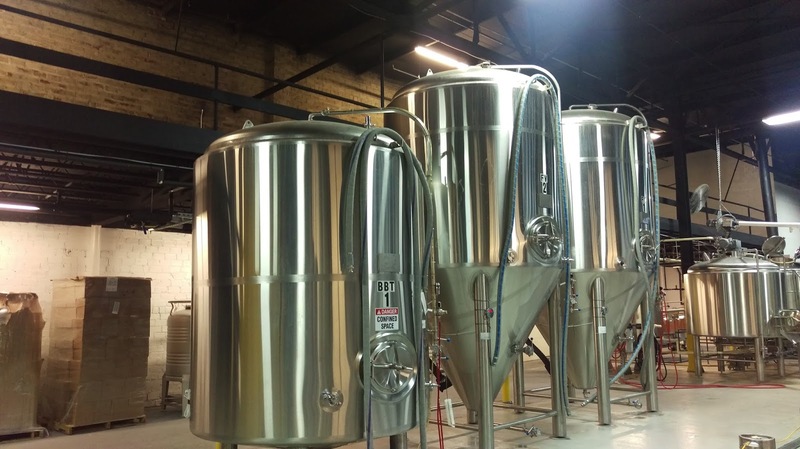 With all those beer choices and the popularity of the Engine 15 beers, it's no wonder that the brewery looked to expand its brewing capabilities. In 2014, Engine 15 acquired a warehouse property on North Myrtle Ave. just outside of downtown Jacksonville in an commercial/industrial area, and the brewery began production on a 20-barrel brewhouse there. Plans called for construction of an outdoor beer garden and indoor tap room. 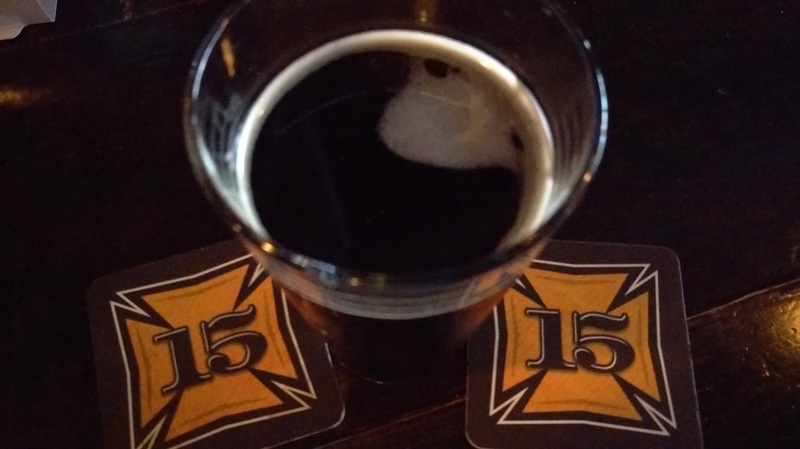 Following a lengthy permitting and application process for rezoning of the property, Engine 15 received some good news just last week, when the city Planning Commission at long last approved the zoning request. So, look for the new venue to open to the public hopefully sometime this coming Fall! The other piece of the property includes a large, open warehouse space, known as the "Glass Factory," that Engine 15 has been using for events, such as the Jax Beer Week "Mash-In" beer fest last fall, which will be returning to the facility again this September. Further, at the end of 2015, Engine 15 announced its new venture, Engine 15 Ciders & Meads (read about that announcement here). 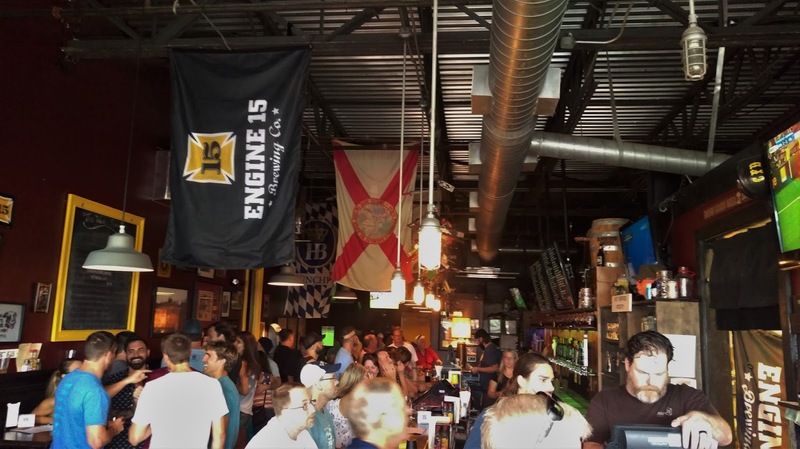 The Engine 15 Hard Cider and Pineapple Hard Cider are on tap at the brewpub now, and the original hard cider is in distribution around the Jax area. Engine 15's cidery at the downtown production facility features four eight-barrel fermenters. The brewers anticipate additional flavors as well as a barrel-aged batch down the line. 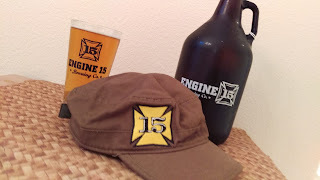 There's a lot to say about Engine 15 Brewing Company! Engine 15 is also very active in local charitable events, and it produces special beers for various charity nights and fundraisers. Last fall, Engine 15 teamed up with local favorite TacoLu and the Donna Foundation / 26.2 With Donna for the Tacos for Tatas event (see my preview of the event here), a fundraiser for breast cancer research, that was held at the downtown production facility. Engine 15 even brewed the "Donna Twenty-Six Point Brew (26.Brew)," a blonde ale, specially for the event (I loved the beer, by the way!). Engine 15 hosts a variety of brewpub events weekly and monthly, so put 'em on your calendars. 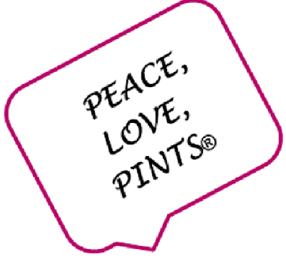 Every Wednesday night is Pint Night, featuring a different brewery, with glass and swag giveways. And, you'll be sure to find the ladies here on the first Thursday of each month for Ladies' Night, which includes free chair massages in addition to discounts on house beer and bottomless wine for the ladies. Hey, guys, if you haven't figured that one out yet, get with it. 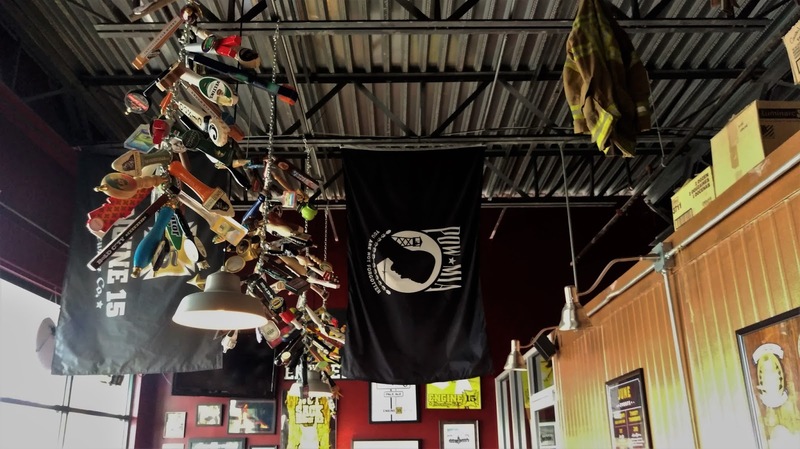 The brewpub also runs a "kill the keg" special on select Thursdays where the lucky keg-killer gets a $40 bar tab, and be on the lookout for special small batch releases, too. Beyond that, the brewery holds one oompah of an Oktoberfest Party, too! 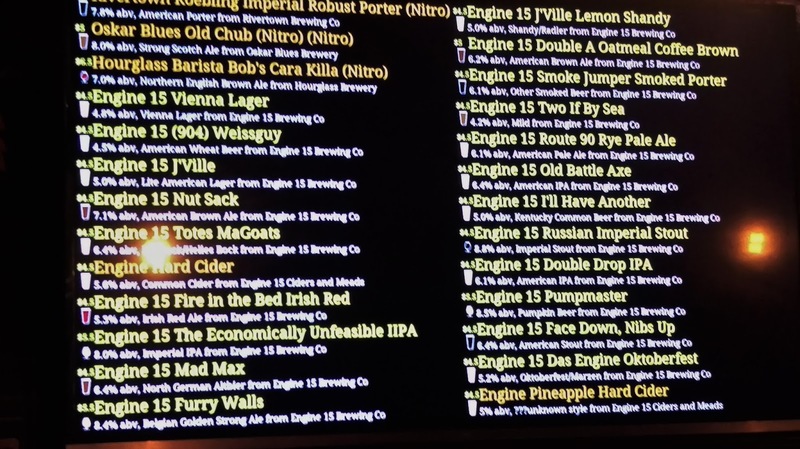 And, how'd Engine 15 get its name? The name refers to a 1962 Ford Fire Engine that Luch bought years ago initially for taking to the tailgates at Jaguars games. 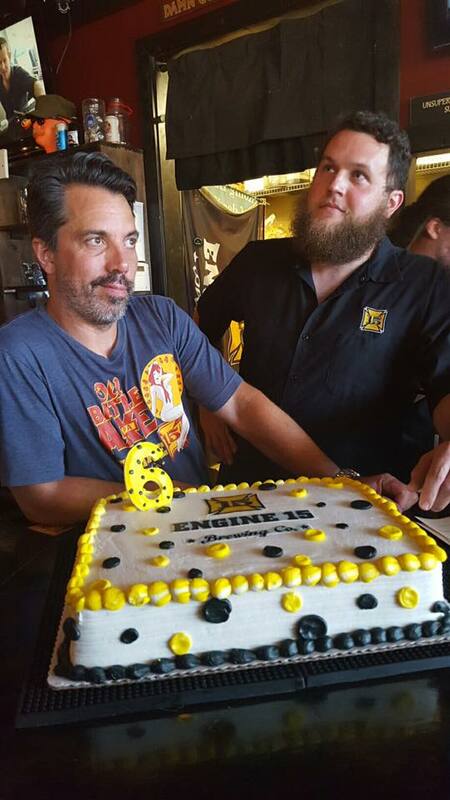 When he decided to go into the brewery business in 2008/2009, the name stuck, and Engine 15 was born. Luch and Sean are not only pretty awesome brewers, but they're a couple of characters who really don't seem to take themselves too seriously. Every now and then, you'll see the Engine 15 staff striking the "famous" Engine 15 "lookaway" pose (it really is; I don't make that stuff up). And, last but not least, I can't resist mentioning the hilarious Engine 15 video these guys produced last year: a spoof of the "Laverne & Shirley" TV Show opening routine, that featured Luch and Sean doing brewery things. I don't know of anyone else who could've done this, except for these guys. Yeah, I'd say they "made it." Check it out HERE (get ready to laugh out loud). The Engine 15 Brewing Company brewpub is located at 1500 Beach Blvd. 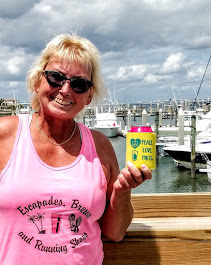 in Jacksonville Beach. It's open seven days a week: Mondays at 4:30 pm, and 11am Tuesday-Sunday. 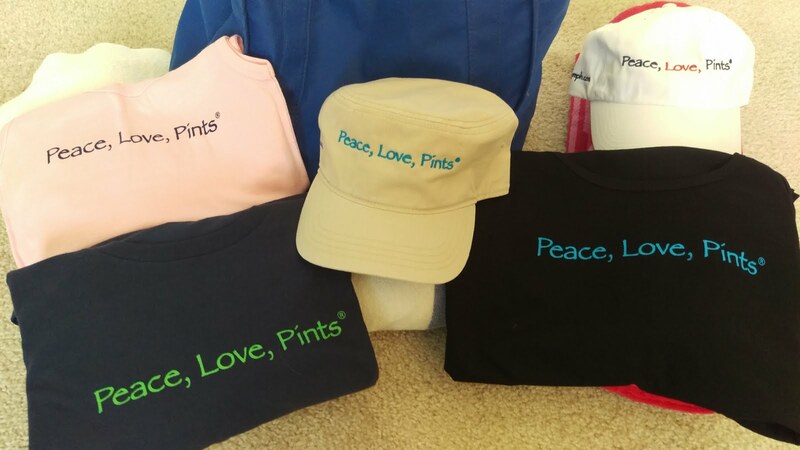 One more thing: a special thanks and shout-out to Kara Phelps Scremin (yay, Kara!) for providing me with some of the background information here.